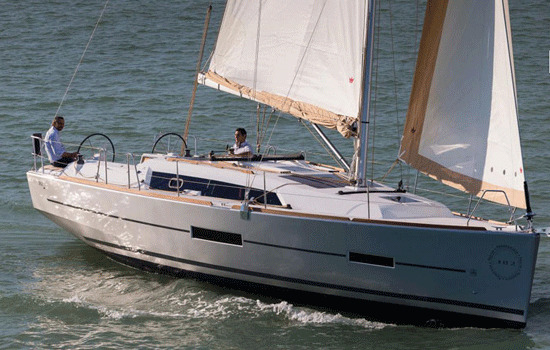 The Dufour 382 has the dual purpose of ocean going and family cruising, providing both in absolute safety and exceptional comfort. The vast cockpit with twin helm stations, wide side decks, low center of gravity, amazing interior spaciousness normally associated with boats of 40' and more and the well balanced hull shape all contribute to another successful Dufour for the sailing public. Cockpit Cushions, Cockpit Speakers, Cockpit Table, Cockpit Shower, Dinghy, Outboard Engine, Gangway plank, Swimming ladder,Hot Water, Radio, Linens, Towels, Snorkeling gear.. * For full specs, please Click Here.